Belize City, Belize – November 1, 2013 – The Belize Tourism Board is pleased to announce that The Great Blue Hole has placed in top ten of the ‘8th Wonder of the World’ competition. Competing against three hundred man-made and natural sites from across the world, Belize finished 8th in the Virtual Tourist competition. “We are extremely proud to be in the top ten; along with worthy competing landmarks. Considering the population size of the nations we were up against and their advertising spend to promote this competition, we’ve done extremely well. It goes to show how our very small efforts of social media, word of mouth, and media releases contributed to our placement. 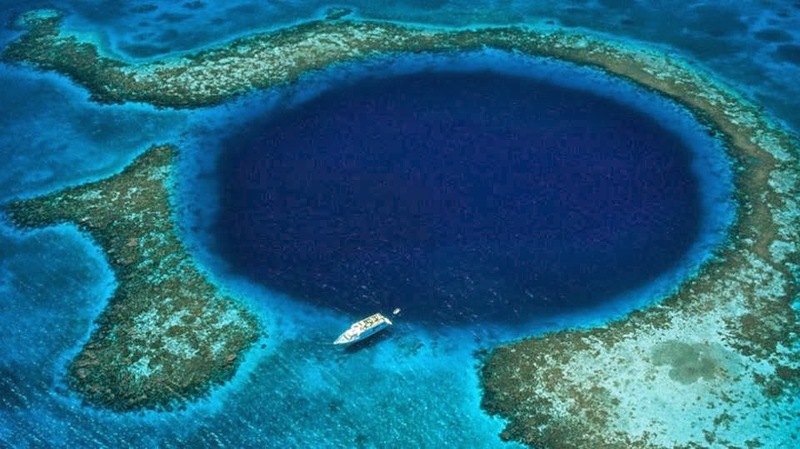 While we didn’t place first, we have certainly reaped the benefits of added exposure of our Great Blue Hole and Belize as a destination,” said BTB’s Director of Marketing & Industry Relations, Alyssa Carnegie. After four months of on-line voting (June-October), the landmark with the most votes was deemed the winner and will be featured in a national TV segment and receive major PR push from Virtual Tourist. Participating countries, like Belize, received prominent features and publicity across multiple social media platforms. The winner of the competition was Chile’s Torres del Paine National Park. Other top ten finishers include: El Salvador, Guatemala, Colombia, Mexico and Curacao. The BTB takes this opportunity to thank the Belizean public, Belize Telemedia Limited, Tourism Industry partners and the local media houses for their unwavering support during the competition. Further information and a total list of standings will be available at www.virtualtourist.com/8thwonderin the coming days.